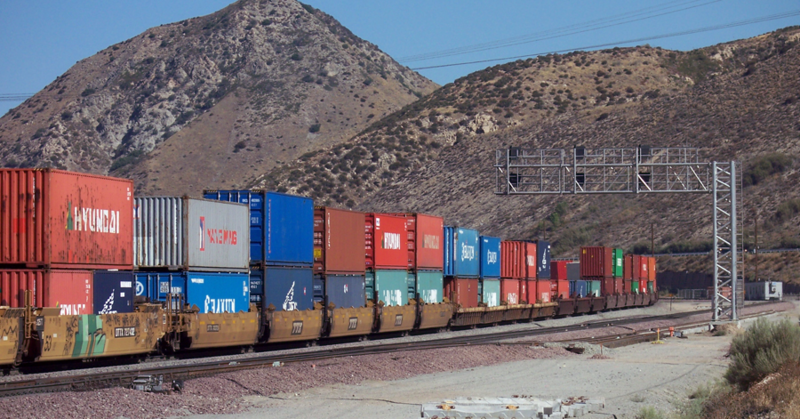 Last month, 1,401,081 trailers and containers were transported via intermodal rail -- the highest monthly total ever. Intermodal numbers are up for the year as well, with volumes 3.4% higher than this point in 2016 and 0.3% higher than 2015, which was the highest-volume year on record. Why all this record-setting growth in intermodal? Let’s find out. If you’re a long-time supply chain professional, you may remember that “rail” used to be a dirty word. Slow service, indirect routes, and poor visibility were just a few of the reasons why. But, over the past decade-plus, rail has not only become acceptable again, it’s now seen as an efficient and cost-effective mode of transport -- even doing rail for consumer packaged goods. Along with significant infrastructure investments by the railroad industry, greater cooperation across rail lines has greatly improved service and has enabled seamless connections between major freight markets. Gone are the days of having to manage many different contracts with many different rail yards along a coast-to-coast route. Railroads now work together to share lines, boxes, and execute solutions through one single contract. In comparison to trucks, rail is supremely cost-effective. This is primarily due to fuel. Rail transportation is about 4 times more fuel efficient than trucking, and the average train can carry the equivalent of 280 trucks. It used to be that these cost savings came at the cost of hyper-slow speed, but that’s no longer the case with the advances stated above. The trucking industry is currently facing a truck driver shortage, sky-high driver turnover rates, and uncertainty regarding the impact of the coming ELD mandate. All these factors put the dependability of trucking at risk. When you transport your goods via rail for the long-haul portion of the trip, you are limiting these risks to a large extent. Green logistics has shifted from a feel-good strategy to a boardroom-driven imperative. Logistics departments have gotten the message and sustainability has become an integral part of decision-making regarding mode choice. Shippers are under pressure to choose the most environmentally-friendly mode that meets service requirements. And they need look no further than rail. According to MIT research that compared the greenhouse gas emissions of all major freight modes, trucking is 6-times more carbon intensive than rail. While on the surface, rail’s return to prominence could be seen as a case of “what’s old is new again,” intermodal is not just a current trend. With the advantages listed above now fully realized, intermodal rail is in it for the long haul (couldn't resist). In fact, the U.S. Department of Transportation forecasts that the freight movements will rise to 25.3 billion tons in 2045 -- a 41% percent increase from the 18.0 tons in 2015. In response to customer demand, a number of KANE facilities have direct rail siding or are very near a transload terminal. We execute a number of interesting intermodal rail projects for customers, including our outside storage solution for Dow Building Products. So, what’s your current mode mix? If rail represents just a thin slice of that pie, perhaps it’s time to take another look at your freight strategy and how rail service might lower your costs while still hitting your time-to-market goals. You might be surprised at what you find.